Just because MetroPCS is busy trying to finalize its merger with T-Mobile with a stockholder's vote expected early next year, doesn't mean that the pre-paid carrier isn't running business as usual. 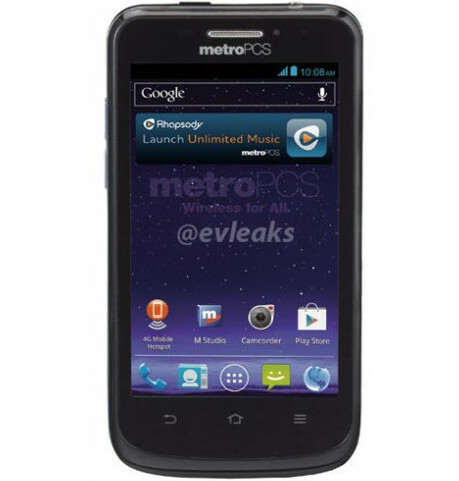 Evidence of that shows up in the latest tweet from evleaks, which appears to reveal a mid-range handset from ZTE that is said to be coming to MetroPCS. The name of the device is the ZTE Avid 4G, which indicates it will have connectivity with the carrier's 4G LTE pipeline. While no specs were included with the tweet, it would appear that the ZTE Avid 4G will offer a 4 inch display, a front-facing camera and a 3.5mm headphone jack. Based on the rendering, it is a good bet that Android 4.0 is installed. MetroPCS customers have until the middle of the next year before losing their independence. Then, it will all be about getting the pre-paid carrier's customers to migrate to T-Mobile.